Learn from this best selling book: Why it's happening and How to prepare yourself and your family for what lays ahead. Click Here to read FREE 3 part interview with the author. This is "the" book on the Wave Principle. Latest 20th Anniversary Edition. 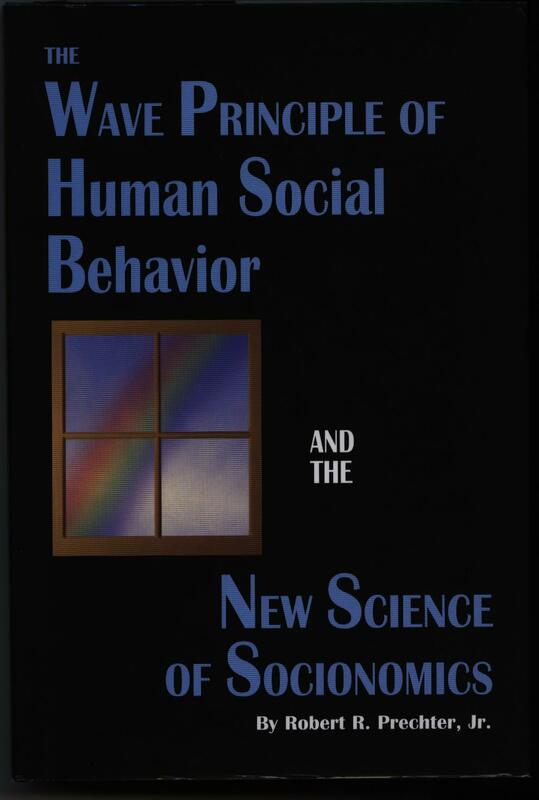 Probably the best book on explaining basic Market Behavior using the wave principles of R. N. Elliott. Principles can be applied to any market from Stocks to gold and silver. Tenth edition. Please email us to see if available. This article was taken from an interview with Bob Prechter, author of "Conquer the Crash: You Can Survive and Prosper in a Deflationary Depression". Conducted by veteran interviewer Kathryn M. Welling, formerly of Barron’s. Read FREE Reports - Absolutely Free membership. It's one thing to buy precious metals for protection against economic uncertainty. Some customers prefer gold or silver bullion coins. If you've done likewise, good for you. But, have you considered what you will eat in those times? We recommend Freeze Dried foods from Emergency Essentials for long term nutritious storage. The costs can run about what you would pay per meal at a lower cost family restaurant. Their shipping costs are no more than $12, even on bulky large size orders. Copyright 1999-2003 JLYNN Thank you for visiting us at http://lynncoins.com No inventory is kept on the premises.